I’m in my eleventh week of twelve as a Developer Content Experience intern at Microsoft. That means that I’m a technical writer — I write about code to teach developers about Microsoft software. I spent my time here working on Progressive Web Apps, which are arguably the coolest thing happening on the web right now. PWAs are web apps that look and feel like native apps — they’re installable, they load quickly, they can deliver push notifications, and they work offline. How do they do all that? Another typical example of a service worker in action is fetching a requested resource from the network, then storing it in the cache for later use. Storing the resource in the cache will allow it to be served more quickly the next time it’s requested. We can expand on our previous code sample to show this. Caching POST requests is, at the time of this writing, an open issue in the Service Worker spec. A lot of people are requesting the ability to cache POSTs, but until it arrives, we have to rely on workarounds. As part of my internship this summer, I came up with a way to store POST data locally if the user is offline (without using the Cache API), and then send the data to the server as soon as internet connection is regained. The first thing you need to do if a POST request fails is send a message from the service worker to the client to alert it to the failure. Instead of using alert(), you could define your own way of talking to the user that’s more consistent with your app’s UI. Next, you need to store the POST data in local storage so it can be sent to the server later. To do that, we extend on our message event listener. And here’s how you might append the inputs to the form. Once the form is submitted, the page will reload, and the inputs will be removed from the form automatically. With that last code snippet, you have a way to implement support for offline POSTs in your PWA! This workaround will only be necessary temporarily, until the Service Worker spec (and browsers) support caching POSTs. However, your users don’t care about the Service Worker spec. They just want to have an uninterrupted experience using your PWA. Offline functionality is one of the key components of a great app-like experience, and one of the things that makes PWAs so powerful. 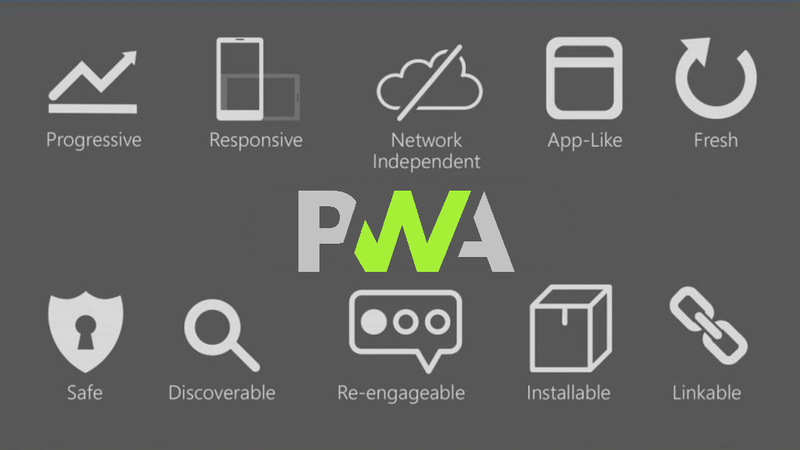 If you’re interested in providing that to your users right now, you should consider building a PWA and using this approach to create a truly seamless offline experience. You can try out Service Worker today in Microsoft Edge preview builds by enabling it under about:flags. Look for more about Service Worker and Progressive Web Apps at Microsoft Edge Web Summit in September!